THE LOCAL SOURCE for trade show displays & promotions. Pull Up? Roll Up? Fabric? Retractable? With hundreds of features and options, how do you choose? Just give The Banner Stand eXperts a call. Our team can help you pick the perfect banner display for your exhibiting needs. What makes us the best in the banner stand business? LOCAL pickup or delivery to your office! Low shipping rates for delivery across the US and Canada! Superior print quality on vinyl, fabric, laminex and more! 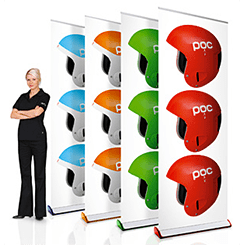 Retractable banner stands are a staple for trade show travel, while non-retractable stands are great for more permanent use. 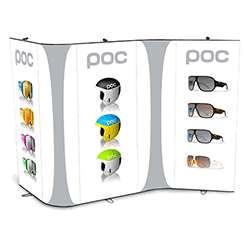 Check out all of our retractable banner stands, banner stand walls, telescopic banners, fabric banner stands and table top banner stands to find what's right for you. If you don't see what you are looking for call us and we can make it happen! Check out our options for 24 Hour Delivery, too! "We stand behind our stands" with lifetime warranty on any hardware! 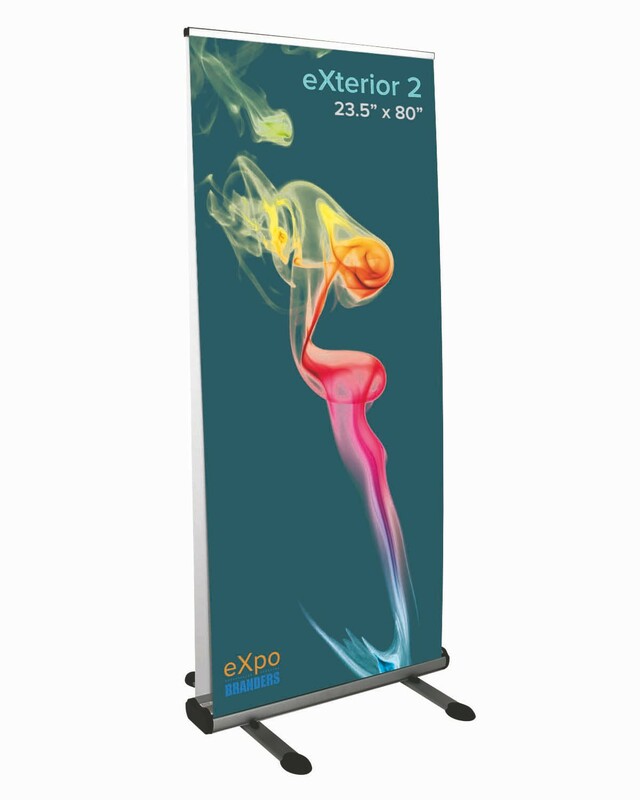 Also known as Pull Up or Pop Up Banners, these are the most popular type of banner stand. They are lightweight and super easy to set-up, carry, and store. All banners include a vinyl insert and carry case! 24 Hour Delivery available on several retractable banners! Banner stands don't have to be tall. These mini banner stands are the perfect option for table tops and small counter spaces. Grab attention with our unique square shapes! Build your own creative backwall by using banner stands together! Use one for a small event or several for a back wall in 10x10 booth space. 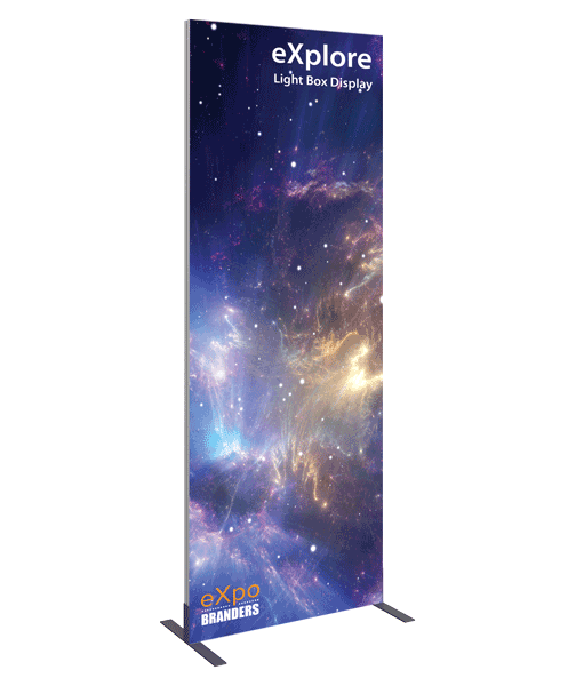 Smooth, sleek design and a gorgeous printed fabric banner make these the "new" hot banner stand option. Just a few minutes to set up, but worth it for the attention they draw! Who needs clip on lights when your entire banner draws them in?! 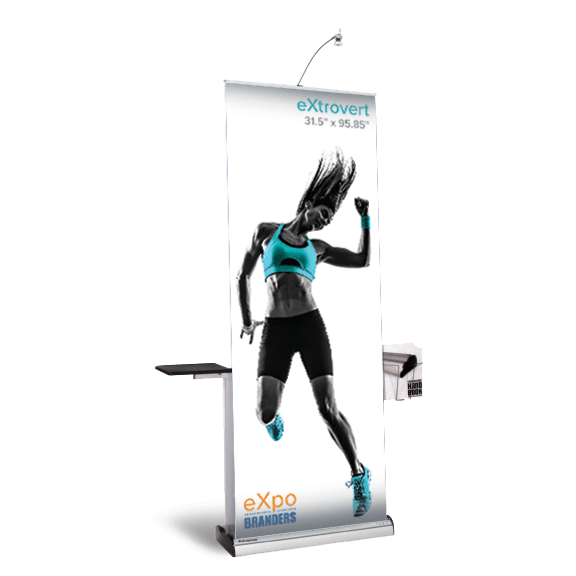 These easy-to-assemble light box banner stands have a framed graphic with LED lights that will illuminate your marketing message across the show floor. Two sides are better than one! Maximize advertising space by printing on both sides. 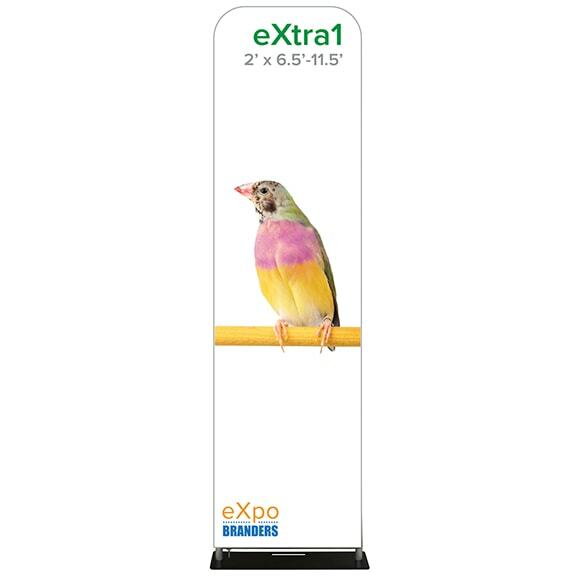 Let your message be seen from all angles with this triple sided column. 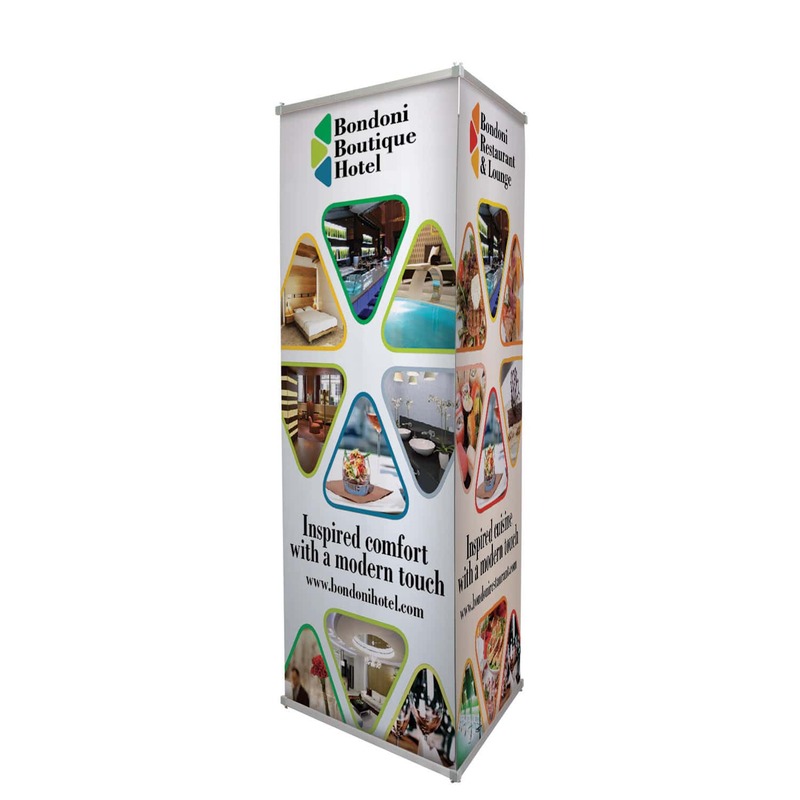 These standard, non-retractable banner stands are an affordable option for a temporary or more permanent display. These weather-resistant banners are the perfect option for displaying your message outdoors. Single or double-sided option! What is the difference between pull-up, roll-up and retractable banners? What’s the difference between fabric and vinyl banners? Most of the eXpo banner stands come with a smooth, curl free vinyl in them. However, we have the option of upgrading your graphic to an eco-friendly cotton fabric graphic. Fabric is lighter in weight and absorbs the light to reduce glare, making the display beautiful and professional. Ask us about upgrading to a fabric banner for your next pull up banner display! What is the difference between dye-sublimation and imprint? The term “imprint” typically refers to screen printing or heat transfer imprinting. Dye-sublimation is a process of transferring color to an item, usually fabric, that allows for an all-over print on that piece. Tension fabric is a type of display that typically uses a plastic or metal frame and a stretchy fabric graphic. The tension that the frame puts on the fabric stretches it out to a nice smooth, wrinkle-free finish. What display lighting options do you have? eXpoBranders offers a full line of LED and halogen spotlights that fit any of our displays. Please contact us about your specific display so we can coordinate the light that will illuminate your message the best. Can I get a discount on bulk trade show display orders? Many of our clients order trade show items in quantities of 2, 3, or more! We discount quantities of 2 or more for trade show displays and signs and will work with you to fit as many displays in your budget as possible! Promotional products and apparel are automatically discounted with the more you purchase. Price breaks are noted on most of the items, and you can order any quantity in between these price breaks. I am on a tight budget, what low cost displays do you offer? 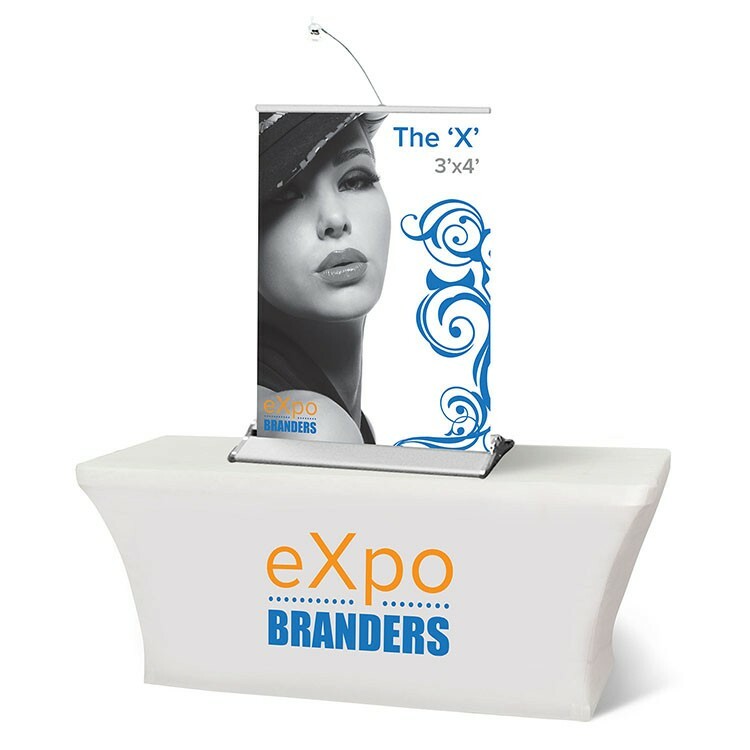 eXpo Branders offers an entire line of budget friendly pull-up retractable banners and trade show displays. 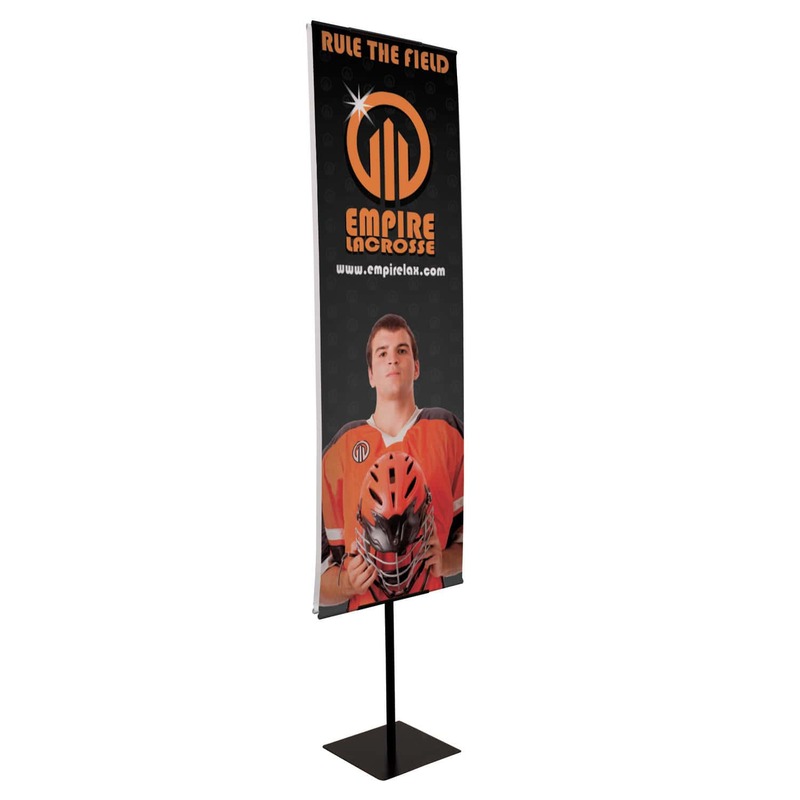 Our eXecutive line of roll-up banner stands come in a large variety of widths and the price is right for any budget. Now matter what your budget is, we can make your display look like you invested a fortune.